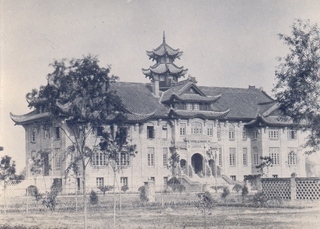 Launched in 1910 in Chengtu, the West China Union University was formed by the union of four Missions in West China: the American Baptist Foreign Mission Society; the Board of Mission of the Methodist Episcopal Church, U.S.A.; the Friends' Foreign Mission Association, Great Britain and Ireland; and the General Board of Missions of the Methodist Church, Canada. In 1908 sixty acres of land were secured, some acres were outside the city, and between the East and South Gates of Chengtu. The land was divided into six sections and re-sold. The central section was retained by the university, the Canadian Methodist Mission bought two sections and the other three Foreign Missions each bought one section. By 1920 additional land had been purchased, making the campus close to one hundred and twenty acres in area. The University was organized as a Union of co-operating organizations with a Central University Senate overseeing the academic programme including prescribing the courses of study, conducting examinations, conferring degrees, and exercising general university policy. Each mission was responsible for its own college including financing the building, paying the staff, providing residences, and governing its students. 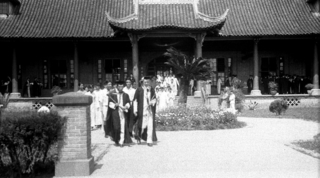 The University's intention was to establish a full body of courses in Arts, Science, Medicine, Law, Engineering and Agriculture, thus making it ..."unnecessary for any student of the Western provinces to go abroad for any course need to fit him for any phase of life in China." 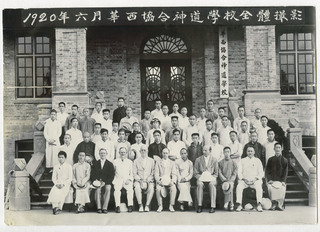 The courses would be delivered in Chinese, and they would be ..."Pervaded by a Christian spirit, the learning of the West to be mediated to the Chinese in a Christian atmosphere, men to be inspired with high ideals, to be trained to serve," It was not necessary to be a Christian to enrol at the University, but preference would be given to Christian applicants. Connected to the University was a Union Bible Training School, a Union Normal School and a Missionaries' Training School. There was also a Union Middle School. 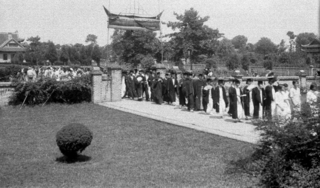 The West China Union University opened its doors in 1910 with eleven students whose numbers quickly dropped down to seven students. 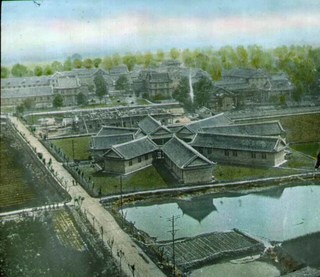 The Revolution of 1911 forced the University to close when all foreigners were evacuated from Chengtu. The Arts and Sciences Faculties re-opened in Spring 1913 with seventeen students. In the fall of 1914 the Faculty of Medicine was opened with a registration of eight students. 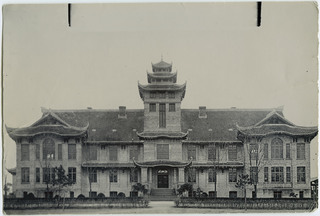 The West China Union University was the sole university west of Hankow (1500 miles away), which mean that the University's student catchment was extremely broad. The constituency covered: Chengtu, the most populous city in Szechwan; three western Chinese provinces- Szechwan, Kweichow and Yunnan, and the aboriginal tribal groups along the border with Tibet. 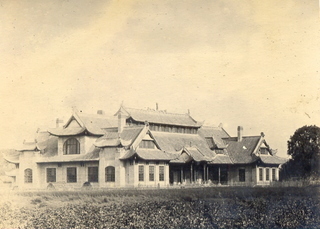 The Canadian Methodist Mission College, was named for Dr. Virgil Hart, the first Canadian Missionary to West China by its benefactor Jarius Hart of Halifax, Nova Scotia. 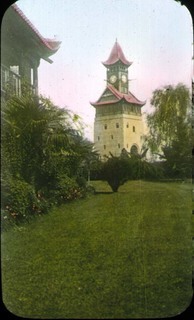 The building was slow to be completed owing to problems with funding during and after World War I. The College building was inscribed with the following motto: "The Truth shall make you free." This is the same motto inscribed over the central doors of the Victoria College building in Toronto. C.R. Carscallen, "Departmental Surveys: West China Union University," Our West China Mission, Toronto: The Missionary Society of the Methodist Church, The Young People's Forward Movement, c1920. Karen Minden. Bamboo Stone: the Evolution of a Chinese Elite. Toronto: University of Toronto Press, c2014. Atherton Biology and Preventive Medicine building, West China Union University, Chengtu. 1910 Credit: United Church Archives. 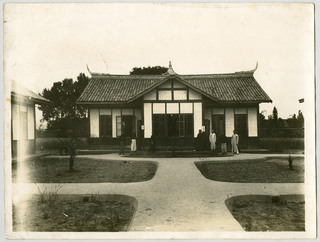 West China Union University Building [likely the Administration building], Chengtu. 1912 Credit: Johns Family. 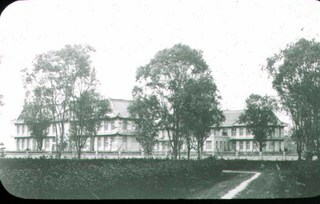 University Building, Chengtu, c1912 Credit: Johns Family. 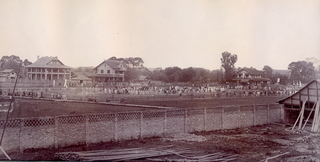 Western Union University, buildings and community in the playing fields, Chengtu. c1915 Credit: Johns Family. 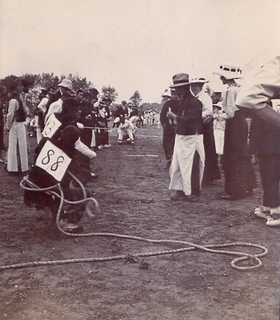 Chengtu sports day, c1915. (Man pitching a cricket ball?) Credit: Johns Family. 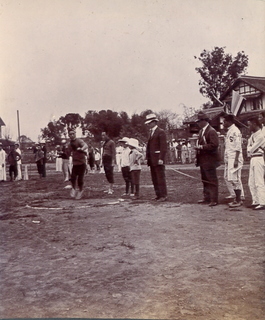 Sports day at West China Union University Union, c 1915 Credit: Johns Family. 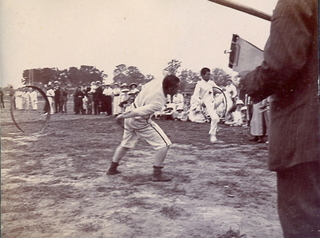 Chengtu sports day, c1915. (At the finish line?) Credit: Johns Family. Hart Memorial College, West China Union University, Chengtu. n.d. Credit: United Church Archives. 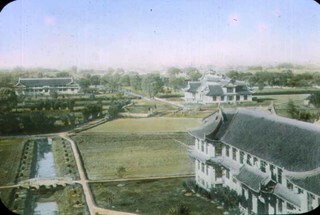 University houses at the Canadian Methodist Mission in Chengtu, about 1916 Credit: Johns Family. 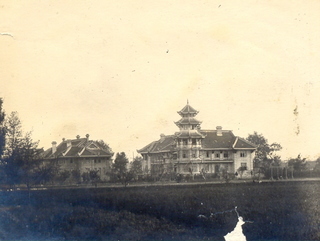 Van Dernan Hall, Baptist Mission, West China Union University, Chengtu. about 1920 Credit: Johns Family. Professors leading graduation procession, WCUU Credit: Walmsley Family. Graduating student procession, WCUU Credit: Walmsley Family. Union Bible Training School - Hart Memorial College, Chengtu. 1920 Credit: Victoria Archives. 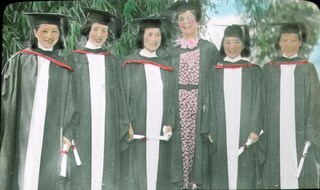 Graduating Class with Mrs. Gertrude Best, [possibly nurses, undated] Credit: Best Family. Buildings, campus West China Union University Credit: Best Family. Building, likely on the campus of West China Union University Credit: Best Family. Medical Building, West China Union University, Chengtu Credit: Best Family. Clock tower, West China Union University Credit: Best Family.